In Vista and beyond, a lot of instrumentation, configuration, and utilization information is exposed via WS-Man. 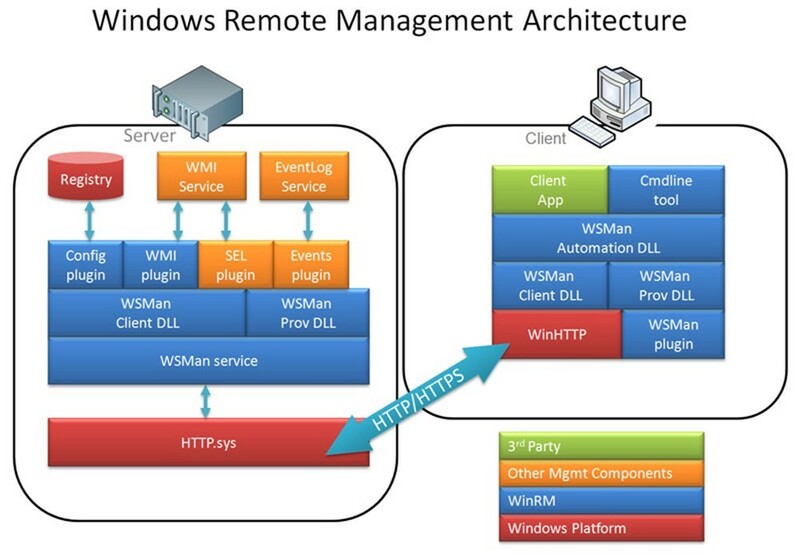 WS-Man (aka: WS-Management, Windows Remote Management, and WinRM) incorporates many features, but I like to think of it as the management protocol/framework of the future (look out SNMP!). What makes WS-Man so great is the fact that it’s all standards based, rides on HTTP/HTTPS (very firewall/NAT friendly), and packages its data in SOAP/XML packets (easy to shove into a database or use with a script). 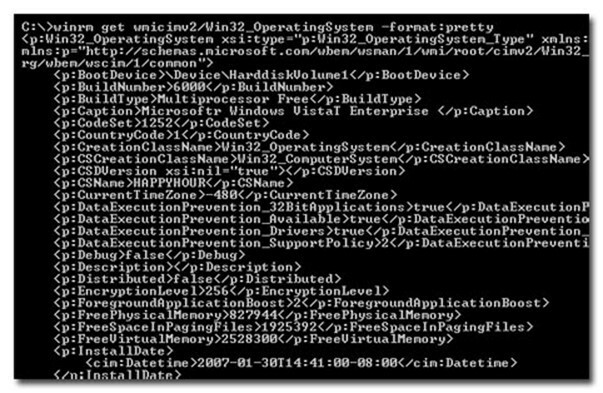 Out of the box; Vista WS-Man exposes WMI information as well as Windows Remote Shell capabilities. What this means is that with WS-Man it’s much easier to get instrumentation from remote machines as well as use that info in scripts. Here are some sample commands to play with. If you cannot get the ‘Test WS-Man…’ step to work, none of the steps following will work either (you’re probably not using the right credentials to access the remote machine). One more caveat, the remote commands work best on domain joined machines. For workgroup machines, the WinRM service needs additional configuration. Note: This step verifies that you have good connectivity to the remote machine, WS-Man is running and properly configured on the remote machine, AND you have the correct permissions to fully leverage WS-Man on the remote machine. If this step fails, it’s probably a permissions issue. The following diagram shows a high-level overview of the WS-Man (WinRM) architecture. In the diagram the ‘Client’ is querying the ‘Server’ for WS-Man information. 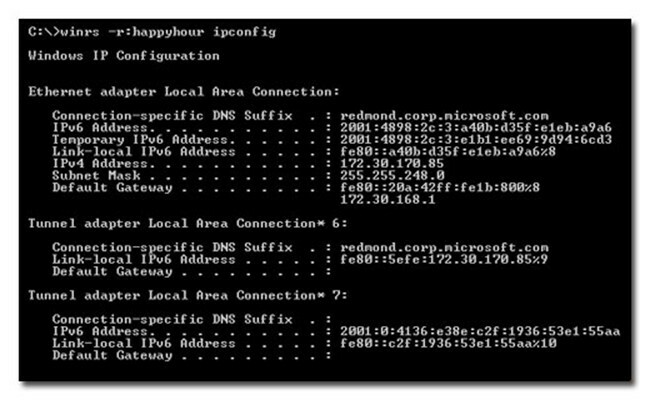 Note that HTTP.sys and WinHTTP support the HTTP(s) transport for WS-Man, not IIS. In addition, IIS (or another web publishing service) can co-exist with WS-Man and share port 80 (granted, in Windows 7 and beyond, the default ports are 5985 and 5986 for http and https respectively, although I still prefer to use 80 and 443). Remember, this needs to be run from an ‘Elevated’ Command Prompt. Testing WS-Man on a remote machine is very useful in troubleshooting lots of connectivity and configuration issues. When pinging WS-Man without ‘auth’, it allows for the testing of the connectivity and basic service configuration. Using the ‘auth’ parameter tests the necessary authorization. Generally the credentials need to be in the ‘Administrators’ group for ‘auth’ to work. In this case no credentials are provided so the current credentials are used (this can be over-ridden). Notice that the OS version is included when successfully using ‘auth’ to test WS-Man. WS-Man allows for gathering WMI properties (reading and writing although we’re only reading in this example) as well as invoking methods (starting and stopping a service; as well as rebooting!). Notice the minimal return code for the invoke commands (0 = success). WinRS is another utility that leverages WS-Man. WinRS allows for the execution of local, non-interactive command-line commands on a remote machine and returns the output. In other words, if the command can be run at the CMD prompt without any required input and it only accesses local resource (no network shares for example), then it will most likely work. There are ways to get around the ‘local resource’ issue, but that is out of scope for this blog. 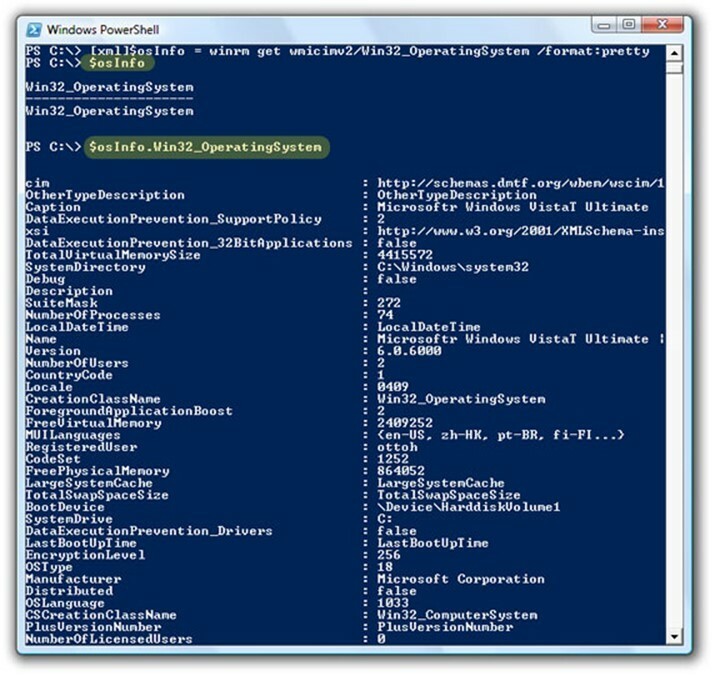 PowerShell is great for consuming data from WS-Man since it works very well with XML. 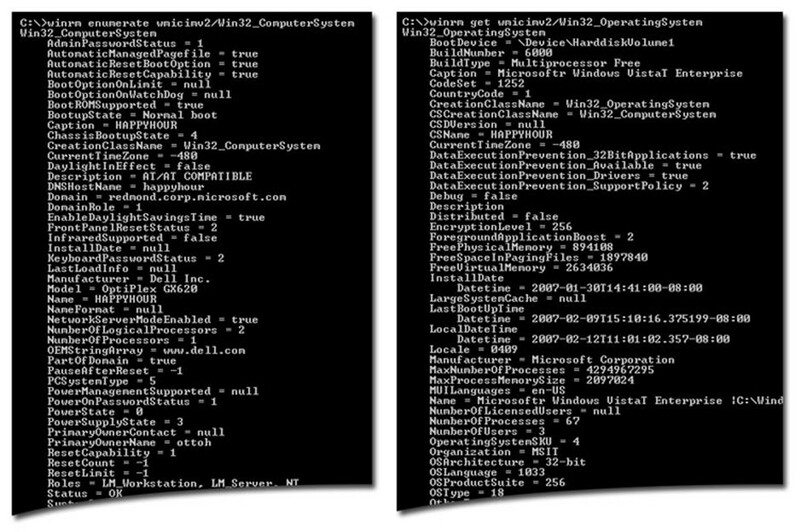 Notice that in the following example it’s easy to ‘surf’ an object in PowerShell. In this case the XML object ‘osInfo’ is displayed on its own, and then expanded to the ‘Win32_OperatingSystem’ branch.